#Scholarships are valid for annual Individual Youth membership only (not +1 Youth). *A one-time $25 application fee applies for automatic monthly payments. If you purchase your initial Membership between the 1st and the 14th of the month; your reoccurring deduction will occur on the 1st of each month. If you purchase your initial Membership between the 15th through the end of the month; your reoccurring deduction will occur on the 15th of each month. 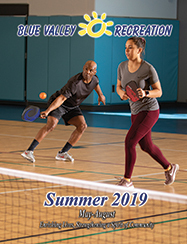 Daily Pass - $5 per person (valid from open to close on day purchased) and gains access to schedule Open Court times, fitness machines, weights, and indoor walking/running track.